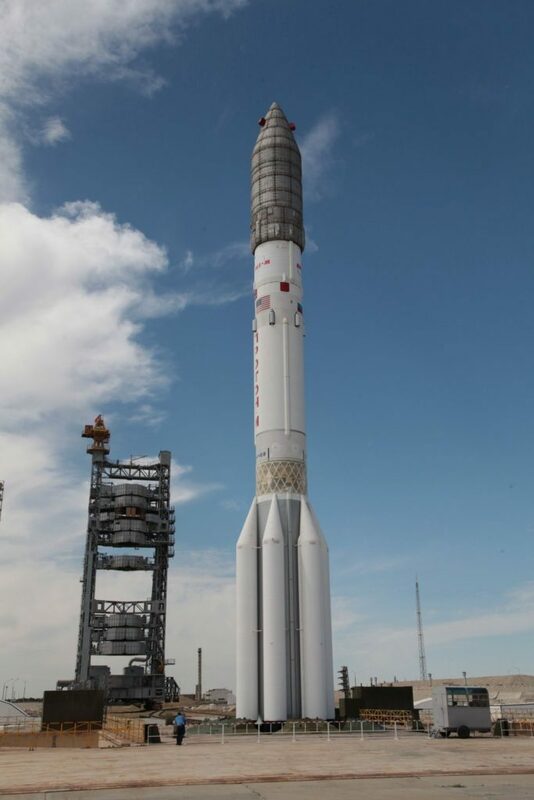 According to reports by Interfax and Kommersant, hot-fire tests of Proton’s second and third stage engines showed persistent problems which were traced back to an unauthorized change of materials by the engine’s manufacturer. As a result, all existing Proton engines are being shipped back for inspections and overhaul, keeping Proton flights grounded until at least June, the reports said. Proton last launched in June 2016, carrying the Intelsat 31 communications satellite into Geostationary Transfer Orbit. The mission was declared a success and the satellite enjoyed an on-target deployment, but its climb into orbit was not without nail-biting for engineers on the ground. According to flight data, one of the rocket’s four second stage engines cut off nine seconds earlier than planned, leaving the rocket 28 meters per second short of its target speed when dropping off the Briz-M upper stage. Briz-M performed admirably and used excess performance to make up for the initial shortfall in speed, but the apparent failure of one of the rocket’s engines prompted a detailed investigation during which Proton would remain grounded, backing up a flight manifest that had built-up due to failures and in-flight problems that have occurred at a rate of one per year over the last seven years. 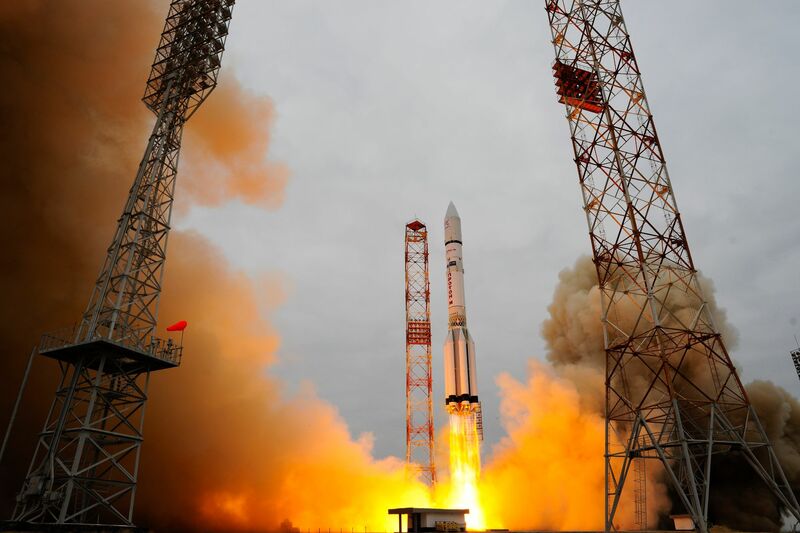 Proton’s next mission, the launch of the EchoStar 21 communications satellite, had slipped from a late December target into January and again to the first week of February. Now, the mission is facing an indefinite delay should Proton’s engine prove to be unsafe in their current design. According to Kommersant, hot-fire tests of the RD-0210/0211 and RD-0213/0214 engines powering Proton’s second and third stages have shown persistent problems which were traced back to the materials used on the engines. The failures were reportedly linked to a switch from a heat-resistant metal alloy to a cheaper, less refractory metal. This change in material, the reports continue, was not submitted to quality control authorities prior to implementation. These findings also shed a different light on the May 2015 failure of Proton’s RD-0214 engine employed for steering on the rocket’s third stage, claiming the loss of the MexSat-1 satellite eight minutes and 17 seconds into its climb to orbit. An investigation into the failure found that an internal coating degraded in high temperatures, causing excessive vibration which ultimately triggered an emergency shutdown. 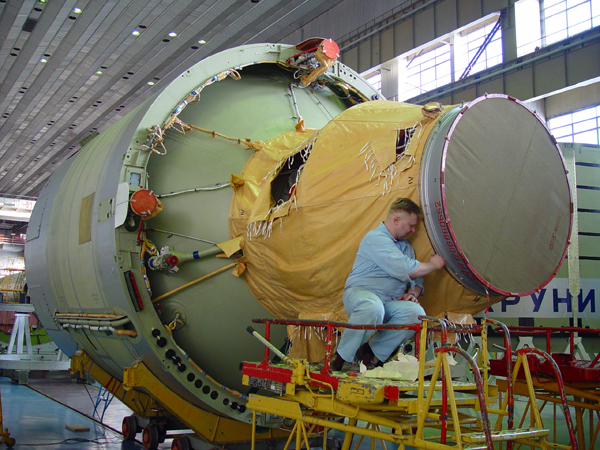 Responsible for the production of Proton’s upper stage engines is the Voronezh Mechanical Plant, VMZ, which also manufactures the third stage engines of the Soyuz rocket. 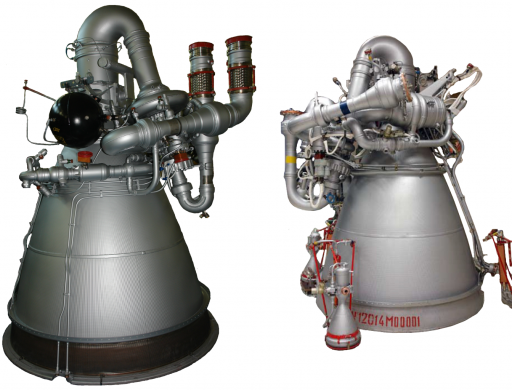 A decision to recall all RD-0110 Soyuz engines had already been made in the wake of the December 1st failure of a Soyuz U rocket which was traced back to a possible manufacturing defect on the engine’s high-pressure oxidizer pump. Roscosmos issued a press release on Friday, confirming that VMZ Director General Ivan Koptev resigned from the company at his own request due to poor quality at the company. Alexei Uvarov was appointed acting director of VMZ and a Jan. 20 meeting of Roscosmos & VMZ officials identified several measures to improve the quality of VMZ’s products. Friday’s meeting also initiated the process of recalling several dozen Proton engines for a quality control inspection which, according to press reports, will be carried out by experts from NPO Energomash, a leading rocket propulsion company that manufactures engines for a variety of rockets including Proton’s first stage and also exports engines for use on the American Atlas V and Antares rockets. Roscosmos officials confirmed to Kommersant and Interfax that a top-to-bottom review of Proton’s systems and manufacturing techniques would be performed to uncover any design and manufacturing deficiencies. This review is designed to check components that have been flying for years or decades and have not yet been scrutinized by modern inspection techniques. 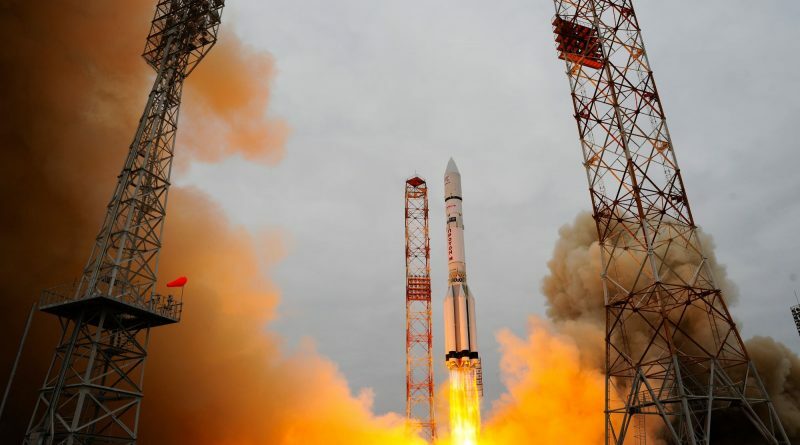 The discovery of systemic issues on Proton’s engines comes at a difficult time for Russia’s space sector and essentially takes the country’s entire rocket fleet out of commission. In fact, the last Russian launch not in support of the International Space Station occurred 230 days ago. Soyuz, the uncontested workhorse, is currently working through its return to flight effort after the December 1st failure, aiming for launch with a Progress resupply ship on February 21. 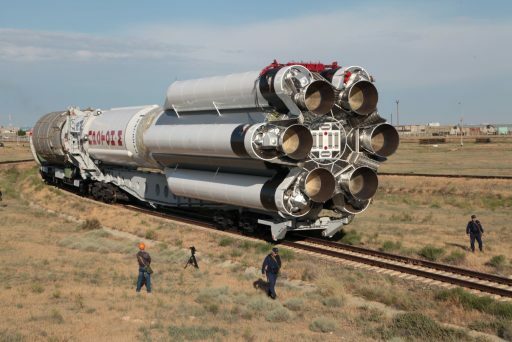 A modernized Soyuz ST-B rocket was rolled to its equatorial launch pad this week for liftoff Friday night, however, this particular vehicle uses an upgraded third stage and RD-0124 engine. Nevertheless, the mission could be used to restore at least some confidence in Russian-built rocket engines. Some hope recently rose for the venerable Zenit booster, receiving a possible mission assignment for mid-2017 with the AngoSat communications satellite. Rockot’s Briz-KM upper stage employs a Ukrainian-built control system, restricting the vehicle’s operation to the number of existing guidance units, and the Dnepr rocket has also fallen victim to the political divide between Russia and Ukraine as plans for up to three missions in 2016 never materialized. Russia’s future workhorse rocket project, Angara, has also fallen behind the original schedule for commercial services following a pair of test flights in July and December of 2014. For Proton, the most optimistic time table calls for a resumption of launches this summer, around June or July. Eight missions had been on the rocket’s 2017 manifest including three commercial missions contracted through International Launch Services, three missions for the Russian Ministry of Defence and two (possibly three) launches for Roscosmos. 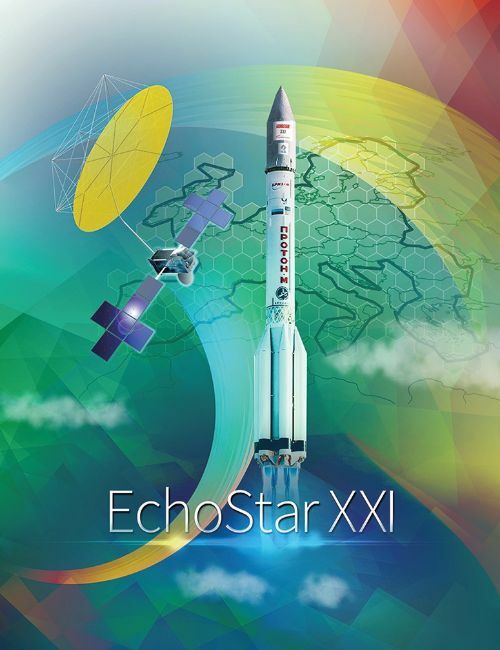 For EchoStar-21, this latest delay means that the satellite will take flight a full year after its original launch date.